Outstanding handling for on road and general off-road use. 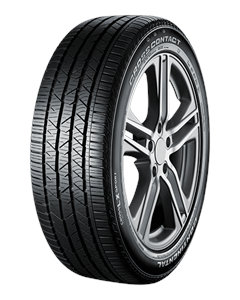 Excellent braking performance on dry and wet roads. ContiSilent technology reduces interior noise on all road surfaces for a quieter ride. Trusted by leading car manufacturers; Land Rover Range Rover, Mercedes-Benz ML-Class and Nissan X-Trail come fitted with ContiCrossContact LX Sport from the factory. I've been coming here for services and a warranty repair last 18 months. The staff has always been excellent and prompt. Appointments are confirmed via sms, health check is provided via email, great waiting area. The car has always come back in perfect order as you would expect from an official dealer but which isn't always the case at other places. The complimentary wash and hoover is a lovely touch. 6 stars! Buying a car here, the whole process from start to finish was handled efficiently and professionally by Susan, who was very knowledgeable and very helpful as a single point of contact. She kept us updated on progress and when we picked up the car she took the time to explain all the features and controls. Thank you! My son was looking for a new car and spotted a BMW 3 series in Volvo John Clark in Edinburgh. I phoned up for him but salesman explained car was already gone. But a few days later salesman phoned to say car was still available so we popped through. Car looked really good and Gareth the salesman looked after us great, after a test drive my son really wanted the car and after talking to Gareth they came to a deal. Great service all round from everyone involved and especially Gareth who looked after us. Fantastic, easy experience with Andy. Organised everything, nothing was a hassle. Car was presented looking great and feeling like new. Highly recommended, perfect balance of great value, range and service.